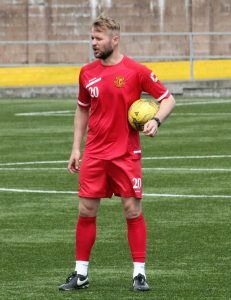 Annan Athletic have to announce that Kevin Rutkiewicz will leave Annan Athletic with immediate effect and take up the post of 1st Team manager at Stirling Albion FC. Manager Peter Murphy commented, “I would like to personally thank Kevin for the last year and a half in what was an exciting time for ourselves and the club. Kevin has shown that he has what it takes through his professionalism and desire to achieve. I would also like to, on behalf of the players thank Kevin as they have loved working with him. We would like to wish him every success in the future, Stirling Albion are gaining one of the most passionate coaches and now managers in the leagues.